It seems like everyone’s talking about the real solution to weight loss. Every day it seems like a new diet craze is ready to make weight loss faster and easier than ever before. However, beware most fad diets generally go something like: “Take a few foods give them magic power and set a plan to convince people that eating this way and only this way will promote weight loss.” says Alexandra Caspero, R.D a nutritionist based in Sacremento, CA. In a society that is so image driven, it seems as though everyone’s talking about it, “THE secrets to get that summer body.” If you searched online for weight loss solutions you get 38 million results. How is anyone supposed to find the real solution? With this overwhelming amount of information it can be extremely difficult to get started on achieving your goals. BUT WAIT – We’re here to help you break through the 4 most searched for diets of 2019 and discover whether or not they’re really worth it. The Claim: Wait Doctor Phil? You have the answers to all of my life problems and now you want to help me loose weight? Even though he doesn’t promise you’ll loose weight, he says you “may” loose weight. The 20/20 diet is a cycling diet plan and was online most searched diet of the year. It’s a 30-day cycling diet, with three phases every 30 days. The first two phases are 5 days long and the third is 20 days. The foods Doctor Phil recommends are supposed to help with thermogenesis, which is a state where the process of energy production in the body caused directly by the metabolizing of food consumed. The 20/20 diet is about looking past your dieting efforts, failed attempts and what you can do to make up for it. He is trying to repent you from your dieting sins and tell you all of these failures are what eventually led him to create this plan. Worth It? 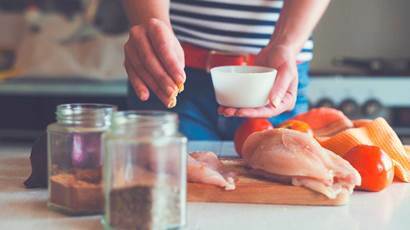 This diet requires you to stick to a rigid meal plan and eat every 4 hours, which could be time consuming. Be weary, of diets that have a start and stop date, after all there are no phases or end dates to a healthy lifestyle. Wait but actually? Trying to take away my carbs? Sounds like a nightmare. They’re also telling readers they can magically turn off, their fat genes. The Claim – You can lose up to 16 pounds in 14 days. This diet and fitness program includes a list of nine foods that supposedly target and melt your fat cells. Worth it? There is no way to turn off your genes to fast track weight loss. While hundreds of genes affect your overall weight in small ways, this isn’t to say that you can’t learn new healthy behaviors to adapt your lifestyle. 3.Mediterranean diet – Not the see food and you eat it diet? Ugh. This diet emphasizes a primarily plant based foods including fruits and vegetables, whole grains, legumes, seafood and nuts – coupled with physical activity. It suggests avoiding a list of unhealthy foods and ingredients such as processed food and added sugars. The Claim: This diet will help you eat your way to optimal heart and brain health. Additionally it claims increased longevity and living a longer and healthier life. When there is a reduction in developing heart disease or cancer, there is a 20 %reduced risk of death at any age. Worth it ? YES, this diet can have positive long-term effects on your over all health. Benefits include keeping you agile, preventing heart diseases and strokes and reducing Alzheimers. So what is the real solution? Remember those days when you were 6 years old and you used to carelessly dance around? Imagine even what a minute or 5 minutes could do for your over all health. Who says adults can’t have a little recess during their workday? 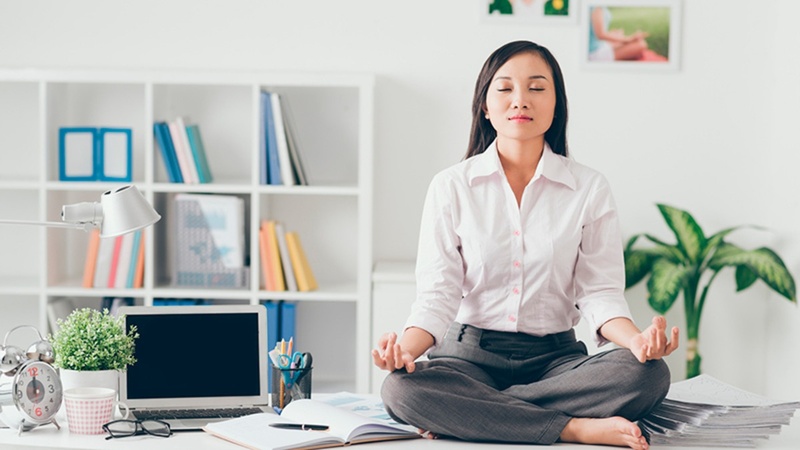 Many business leaders often discuss the value of adding healthy habits into their daily routines. It could be as simple as setting stretch goals. Don’t be too hard on yourself; life is demanding. Between jobs, kids and everything else, life can get difficult. Give yourself a break, dieting shouldn’t be about extreme weight loss, it should be about slow and steady implementation of healthier habits that will lead to an over all healthier lifestyle. November is National Diabetes Month. It’s an opportunity to raise awareness for a chronic diseases that affects millions of people worldwide. It’s surprising how little people and companies knows about the condition, and how to prevent it, and how to incorporate diabetes awareness into in the workplace. 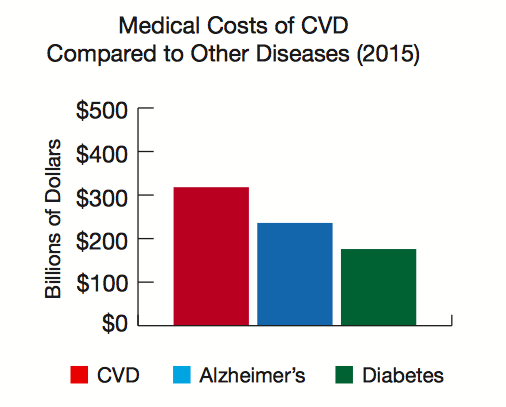 While diabetes costs an individual considerably higher health care fees, it can also cost a company more money to keep, and look after employees with the disease. Not only is diabetes a completely preventable disease, with about 9 out of 10 cases being easily avoided, but there are also some very easy ways to ensure you prevent diabetes effecting you. Although not everyone that develops type 2 diabetes is overweight, the majority are. The more visceral fat (fat around your midsection) you carry, the larger your risk of developing diabetes. Studies show that losing a small amount of weight can help reduce your risk, and that the more you lose, the more benefits you will experience. Losing just 5kg over several years can reduce your risk of developing diabetes by 50%! There are many options for losing weight, but the easiest one is to simply watch your portion sizes and add more vegetables into your meals. Choosing a way of eating that you can maintain long term is the key to succeeding with weight loss. Did you know that in 2001, sugar represented more than 10% off the calories consumed by Canadians? Imagine what it represents now, in 2017! This sugar can be hard to identify, as the industry uses so many different names for sugar in labels, so be sure to always check your food labels for hidden nasties. The names you’re looking out for are sucrose, dextrose, fructose-enriched corn syrup, glucose-fructose, malt syrup, etc. These are all different ways to say sugar, and the closer these items are to the top of the ingredients list, the more the product contains. An easy and interesting way to prevent Type 2 diabetes is to add more spices in to your diet. Spices such as cinnamon can actually improve glucose tolerance and even has the ability to restrict the amount of glycation products that damage the blood vessel linings. Other spices that can be instrumental in the prevention of diabetes are seasonings such as black pepper, thyme and turmeric. Turmeric’s anti-inflammatory activity helps to reduce the damage caused by a sugar surplus in the cardiovascular system. So instead of using sugar or salt in your meals, opt to use spices and seasonings to add flavour in to your cooking. Fat is not all bad, but there are definitely different types of fat that should be consumed less to prevent the development of Type 2 diabetes. Certain saturated fats are known to promote inflammation, indirectly causing insulin resistance, but the main fat in olive oil actually has an anti-inflammatory action, provided that you’re having it cold and not heating it in a pan. Don’t avoid fats all together, instead, include fats like nuts, avocado and any omega – 3 fats to keep you healthy. Apart from the fact that smoking, and even second-hand smoke can be linked to type 2 diabetes, smoking has also been proven to contribute to many health conditions, including heart disease, lung cancer, and emphysema. In a study of over 1 million people, smoking was proven to increase your risk of diabetes by a massive 44% in average smokers and 61% in people who smoked more than 20 cigarettes per day. Researchers have found that even though people can gain weight after quitting smoking, after a couple of years off of the cigarettes, their risk of diabetes was considerably lower. As an employer, you play a huge role in the lives of your employees. This presents a great opportunity to promote the awareness of the risks associated with diabetes. 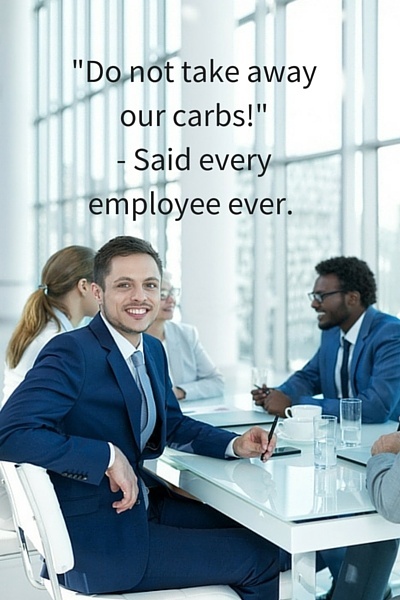 By supporting your employees in leading a healthier lifestyle, everyone benefits. 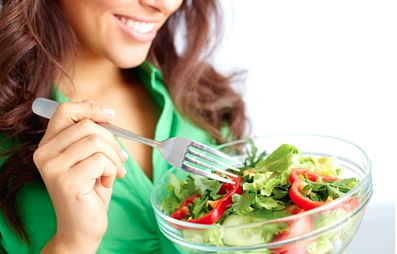 3 Refreshing ways to EAT your way to a better mood! Being in a positive mood is always ideal for everyone, you work better and feel better and the people around you really react to the positive energy you give off. It really helps with all the decisions you make in your everyday life, so it’s important that you’re feeling your best when making these decisions. Did you know that food can actually help boost better moods? Well, it’s true! Food helps with better moods, providing you with more energy and it helps you think clearly! Below are my top 3 food tips to help you get into a better mood. When you eat your wild salmon, bake it don’t fry it; when salmon is baked, almost all of the vitamin D content remains, but when fried in vegetable oil almost half of the vitamin D content is lost. Other good food sources are trout, ahi-tuna, mushrooms, and egg yolks, and, our favourite, plain Greek yogurt. Another cool fact: if you lose just 5 percent or more of your body weight, your vitamin D blood levels will shoot up. Vitamin D likes to stay in fatty tissue, so when you lose fat, the D levels in your blood go up! Marvels of vitamin D: heart health, skin health, immune health & mental health! Fruits have amino acids in them and bananas are surprisingly high in tryptophan, that along with its natural sugars makes an ideal situation for creating serotonin. Dates and papaya are also high in tryptophan, but most fruits have enough to make a difference. Any food with a sweet taste will have a calming effect on the nervous system beyond its carbohydrate content.This is not why monkeys seem so happy but it sure doesn’t hurt! The University of Kuopio in Finland conducted a study with 2,313 men for more than 10 years and they found that leafy greens are good for your brain. Greens are high in almost all vitamins and minerals but they are particularly high in folate – a B vitamin that has been shown to reduce depression. Kale, collard, and spinach will all contribute to boosting your mood! Sign up here to join the community and start leading a healthier life wile claiming FREE rewards! Posted on August 21, 2018 August 20, 2018 Categories All, Healthy EatingTags health, lifestyle, nutrition, tips, wellnessLeave a comment on 3 Refreshing ways to EAT your way to a better mood! Stress is costing companies on average $300 billion dollar a year on stress-related absenteeism, turnover, lowered productivity, and direct medical, legal and insurance costs. Stress is the harmful physical and emotional response that occurs when there is a poor match between job demands and the capabilities, resources, or needs of the worker. Common stress reactions include tension, irritability, inability to concentrate, and a variety of physical symptoms that include headache and a fast heartbeat. It’s almost impossible to live without some stress. And most of us wouldn’t want to, because it gives life some spice and excitement. But if stress gets out of control, it may harm your health, your relationships, and your enjoyment of life. The following are my top 3 principles that are essential for living a healthy and stress free life! Stress just doesn’t happen to you, for all we know the person next to you might be suffering from a form of stress as well. One way to combat your stress is through social support. Seek help out help, you don’t always have to make hard decisions on your own, find someone to talk to. Just one or two of your co-workers can become the pillar you need to tackle the stressful situations in your life. Interestingly, the stress hormone cortisol increases your appetite because of your body’s need for energy. Essentially how this works is,during a stress reaction, Cortisol increases your blood pressure and together with Adrenaline helps accelerate your heartbeat and breathing. This sends glucose to the blood to help free up enough energy for the muscles and the brain. As a result, a fuel shortage arises, and the sugar in our body provides the quick fix, as a result making us crave sweet foods. To avoid consuming excessive amounts of sugar, be cognizant of what you’re eating. Making healthy food choices using Canada’s Food Guide ensures your body has the nutrients it needs to meet the challenges of your day. My third principle, and perhaps my favorite, is exercise. Studies have proven that exercises helps cope with stress, especially aerobic exercise. It can improve your mood, help you sleep better, improve your focus and mental alertness, and make you feel fitter and more confident. Have a busy work schedule? No problem, check out this blog to get tips on how to incorporate exercise into your busy schedule. It’s smart and also more cost-effective to prevent stress. Simple lifestyle changes can have the biggest positive impact, financially for business and for the overall health of the individual. 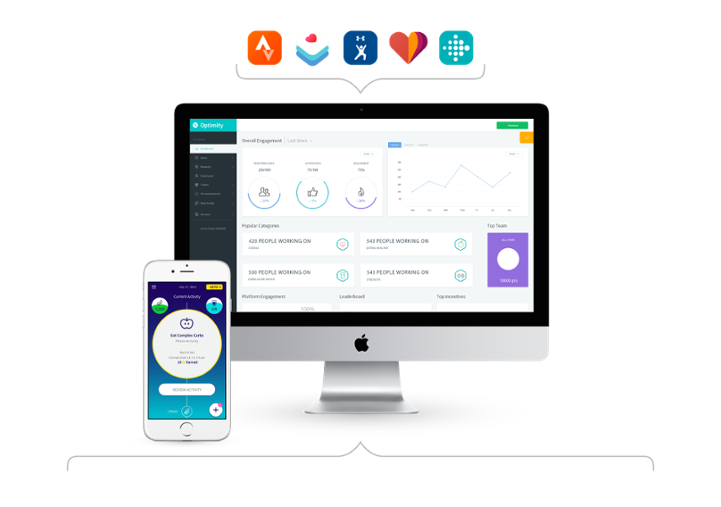 If you want to learn more about implementing an engaging and successful wellness program that maintains a healthy work environment and reduces employee stress, reach out to us at engage@myoptimity.com for information on how Optimity can help you! Don’t miss out on next months webinar on Employee Health & Wellness on May 3, click here to register.